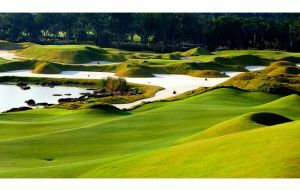 The Masters Course is set in wonderful parklands and offers a very demanding test of your golfing skills. The course measures just over 7,100 from the back tees and has a slope rating of 144. 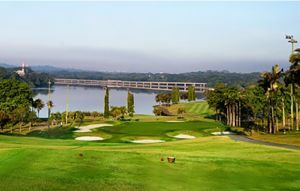 The course is a fairly typical American-style course which is dominated by four large lakes which come into play on at least 12 of the holes. Your first encounter with water comes on the par five 2nd as it cuts in front of the right side of the green which forces you to go left where you have to flirt with a row of bunkers. 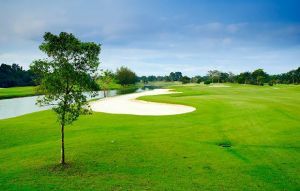 The third is a par 3 with a long carry over water and sand stretching from tee to green. The 4th is a short but very dangerous par 4 with water all along the right side and a huge bunker in front of the tee box. 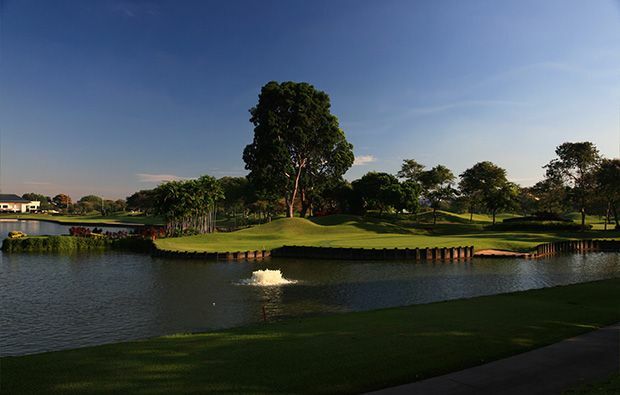 The par 3, 8th is an interesting hole – play short and you end up in the water – over club and you are faced with either playing out of the rough or the sand back towards the water hazard. The back nine offers more of the same and the 11th is a good example as the water on the right forces you to play to the left but if you overdo it you then have a blind shot over water to reach the safety of the fairway. Water again can play a factor for your approach. The signature hole is the final par3 on the courses which is the 17th with its island green which is small enough to give most golfers some moments of doubt. 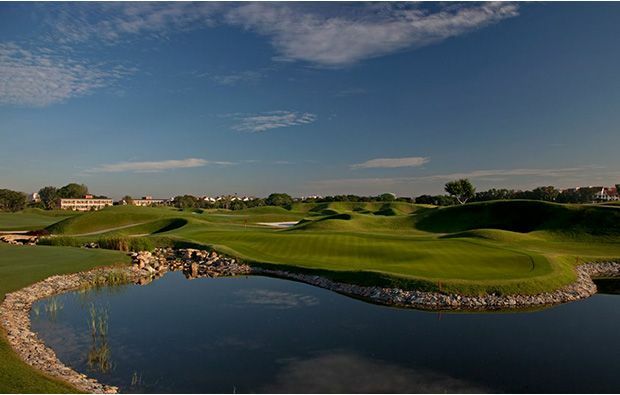 The Laguna National Masters Course is a wonderful golfing experience which will examine and expose any weaknesses in your game. 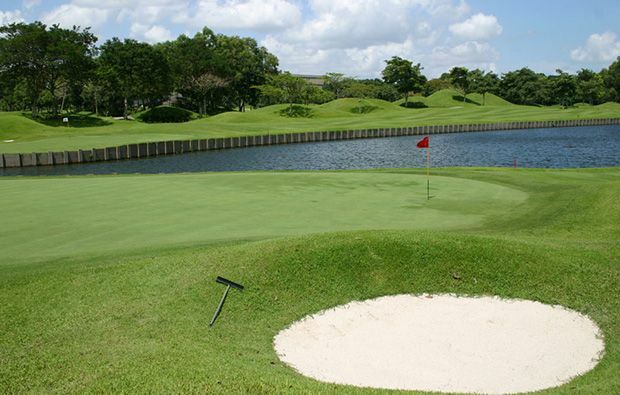 There are some exciting and short par 4’s, some dramatic par 3’s and variable length par 5’s. Add to this mixture some huge waste bunkers, dramatic water hazards and many elevation changes and this is a great and enjoyable test of golf. 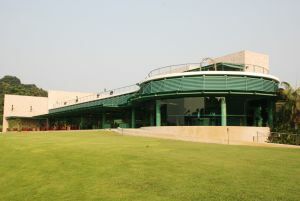 As you would expect from such a famous golf course the facilities and service are superb. If you would like to book a tee time at Laguna National Masters Course then Golfsavers have very attractive green fees and its really easy to book using our boking engine. 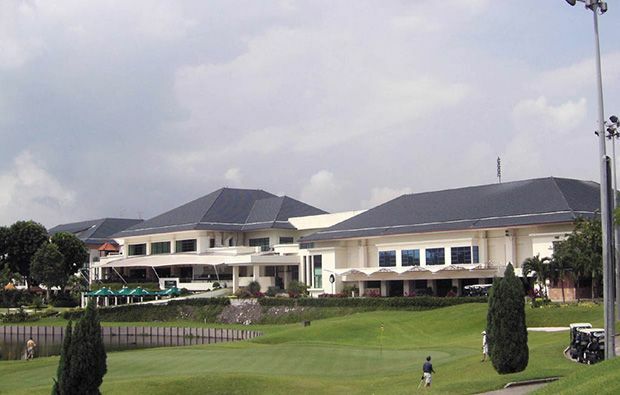 Laguna National Masters Course is not yet in our pool of Golf Courses for orders.